Bike and Barge Amsterdam to Koblenz, Germany! Thanks, we are full! Booking soon for 2020! 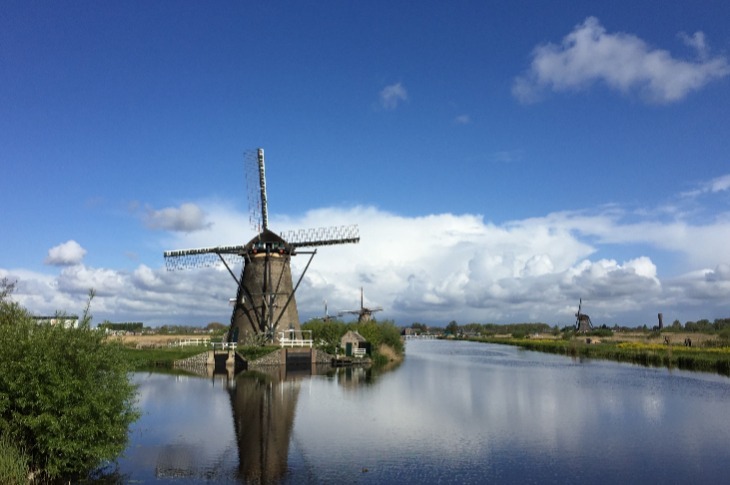 An adventuresome two-country tour - first days exploring the colorful Dutch landscapes of the Netherlands, eastern Gelderland region. Then we dip into the German Rhine "Via Romana" region with famous cities and lovely old towns. 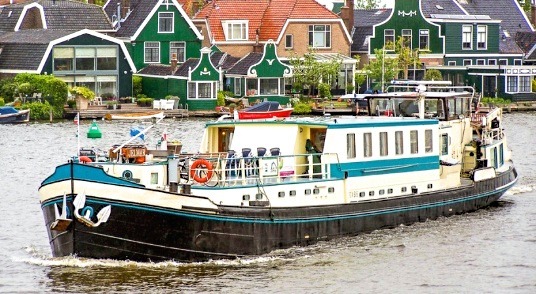 We board Saturday at noon and start sailing down the Amsterdam Rhine Canal. At the town of Breukelen we disembark pedaling down the winding Vecht River towards the city of Utrecht. Along the way we will visit the working windmills of Zuilen and spend some time in the historic center of Utrecht. 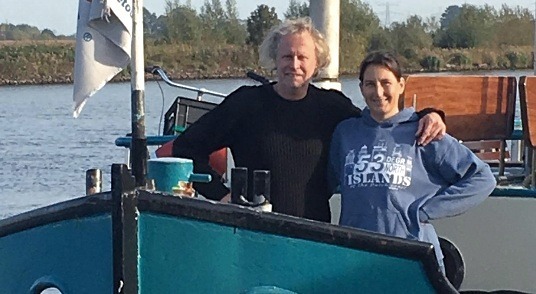 We'll board ship and enjoy dinner during sail to quaint Wijk Bij Duurstede- a former Roman settlement at the confluence of the old Rhine. Today starts cycling the lovely paths of the National Park Heuvelrugâ€“ the highest area of the Netherlands with miles of beautiful car-free forests. We are heading for a visit to Arnhemâ€™s Open Air Museum â€“ an amazing reproduction of centuries-old Dutch Life presented through restored historic houses, farms and windmills. 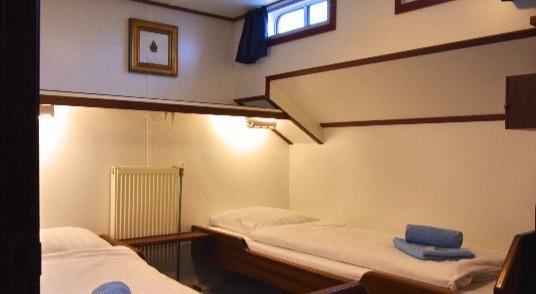 We dock for the night in beautiful Arnhem- cradled between two National Parks and best known today as the site of one of the most famous battles of World War II. During breakfast our boat sails to the town of Pannerden where we start cycling into Germany. The serpentine-like border is always tricking here as our cycling wanders in and out of these neighbors who share the same beautiful farm and polder landscapes, windmills and of course lovely Rhine River views. We stop to take beautiful pictures of old country estates like Huis Bergh in historic Sâ€™Heerenberg where we also enjoy lunch in the quaint city square. In ancient Ijsselburg, Germany we will visit the castle/museum Wasserburg Anholt and then head to our nightâ€™s destination of Rees. Founded in 1228, Rees is the oldest town of the lower Rhine whose old city walls greet you at the shores of the Rhine. 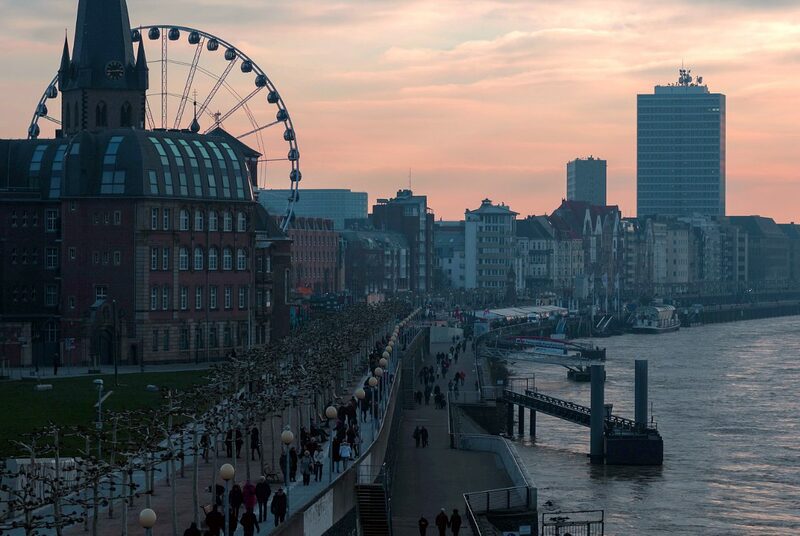 Dusseldorf is the capital of North Rhine/Westphalia. This exciting city known for fashion and international business has a unique old town full of beautiful historic buildings such as the Rathaus and Schloss Kaiserwerthâ€“ original home to Emperor Barbarossa from 1174. We hope to get a nice town walk with a local and retire to a fun biergarten to try the local "Alt" bier. Our route to Dusseldorf will start with some sailing and then an interesting river route that affords us plenty time for sightseeing. Today we venture to the west of the Rhine above the shoreline- escaping bustle of modern life to the wooded quiet of bike paths, small lakes & villages in the forests. It is a bit longer cycleâ€“ 35 milesâ€“ with a few hillsâ€“ but worth the effort. Our boat waits for us on the promenade in Cologne. 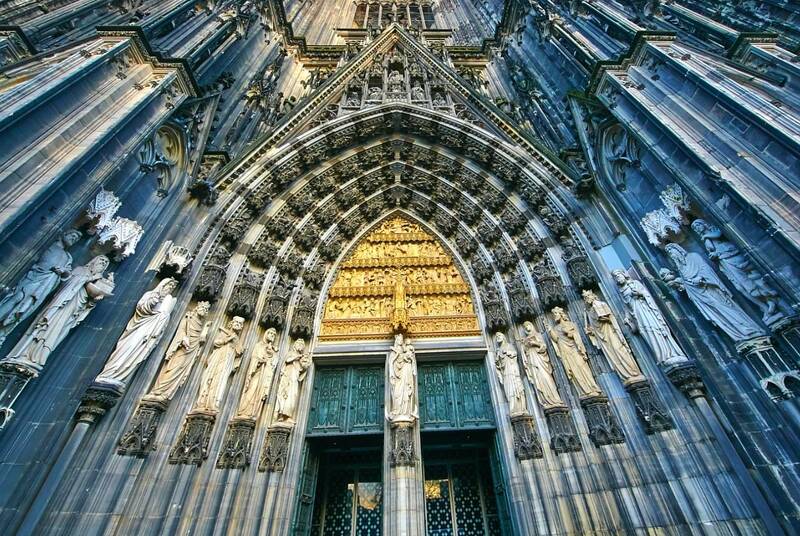 In the afternoon we will visit the lovely old town and amazing Cologne cathedral. Today a shorter pedal keeping in pace with the always meandering Rhine. We experience flat but interesting cycling along the water with visits to connecting old towns. In one of these weâ€™ll stop for tasty German pastry and coffee with Suzie and Roger! Known as the capital of West Germany from 1949 to 1990, beautiful Bonn has a history dating back to the 1st century BC. When Roman soldiers built the largest known Roman fort here. 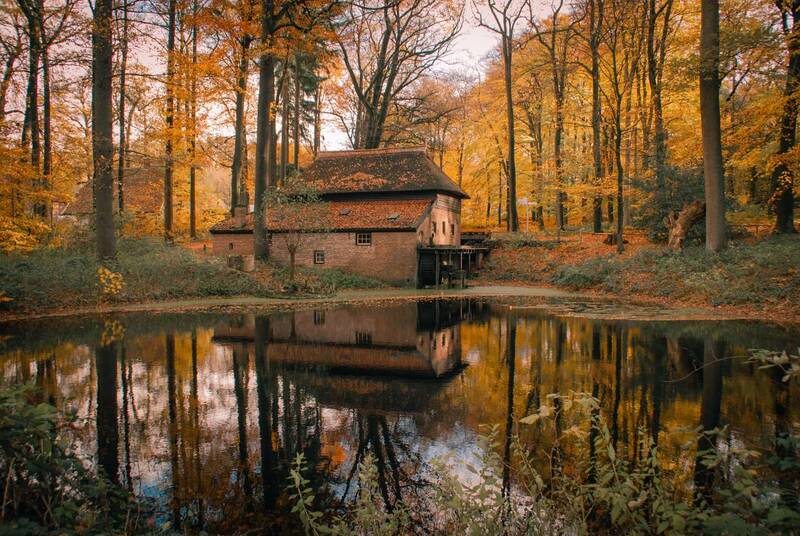 The city's most famous son, Ludwig van Beethoven was born here in 1770 and his house is a must-visit. 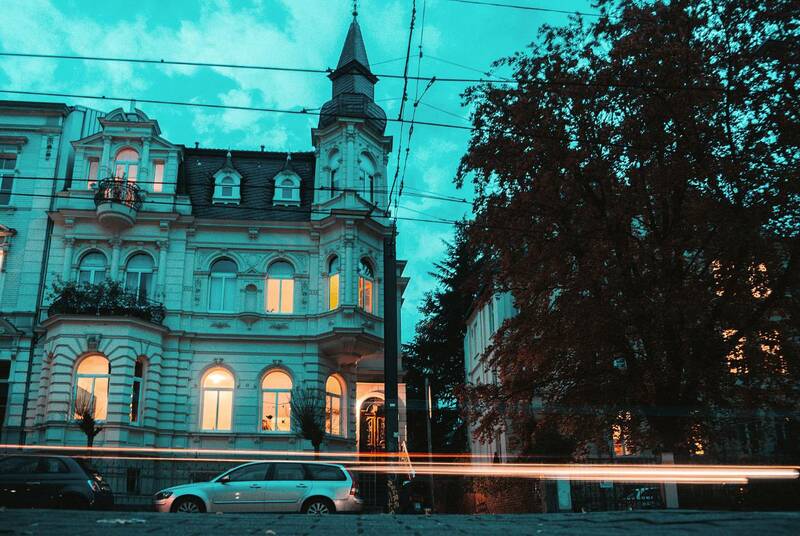 We will enjoy all Bonn has to offer in an exciting walking tour with a city guide. A long but fascinating cycle awaits us today. As soon as we leave Bonn we behold vineyard covered hills and mountains dotted by centuries old castles. 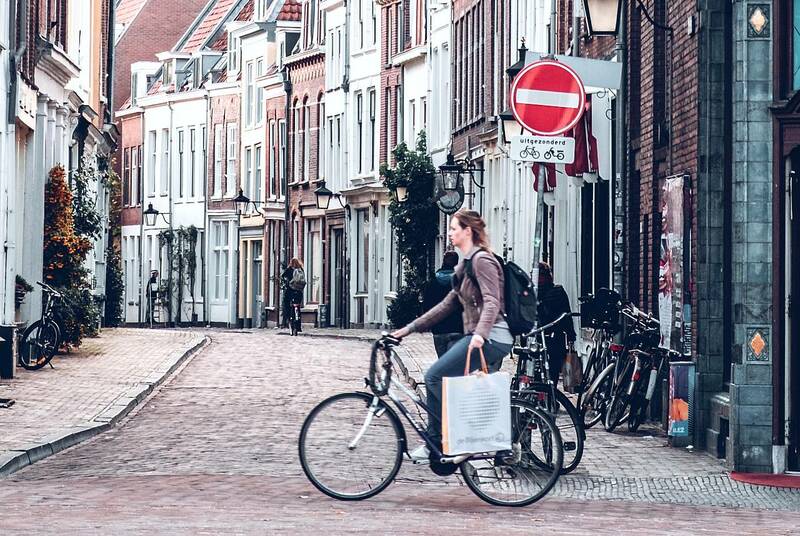 We'll be following the cycle paths of the Rhine which skip off the river path into old towns with inviting centers filled with little shops. We'll take time to have lunch in one of these, Bad Honningen, with views of the towering Arenfels Castle above. We arrive in amazing Koblenz at the confluence of Mosel and Rhine Rivers. Fortress walls and towers, castles and palaces, monuments and parks paint a vivid picture of the townâ€™s eventful past. 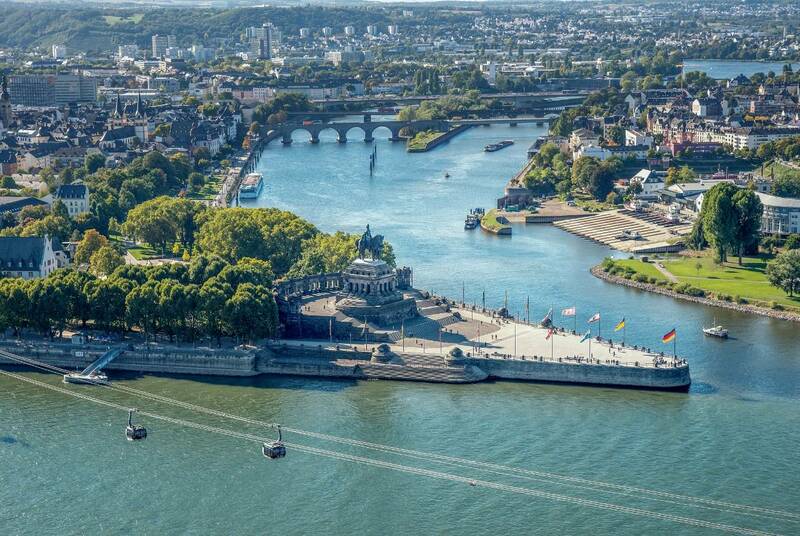 Day off in Koblenz or cycle along the Mosel- Koblenz needs more than an afternoon for sightseeing so we have extended our normal 7-day trip to include an extra day to explore Koblenz. We also offer the option to get back on the bike and take a side-trip west along the Mosel River. 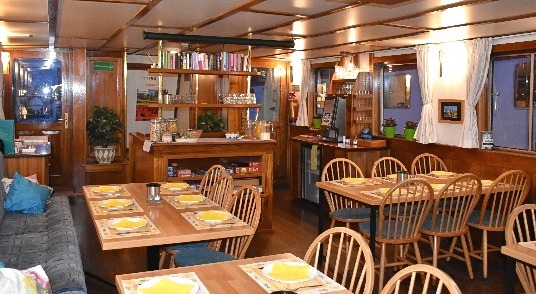 Breakfast and depart ship at 9:30 a.m. Koblenz has easy train service to nearby larger cities for your departure by plane. Other items as budget permits! Our terrain on this tour is mostly flat with some rolling as we venture into the German woodlands off of the river valley. As weather this time of year is historically moderate, we should experience little wind and rain but you should be prepared for those weather factors that impact cycling experience and ability. We recommend this trip for an athletic/active person or experienced recreational cyclist who can complete the daily miles - and likes to average 10 mph on easy/flat terrain while enjoying a leisurely trip. We will average 30 miles on most days and advocate a "stop and smell the roses" philosophy to cycling. Our group cycles together as a shared experience. You are always welcome to take a break from cycling and enjoy sailing from the sundeck of our barge â€” quite a delightful experience! We do not use the assistance of a support vehicle on our Bike and Barge tours. Please also note that itinerary and mileage can change due to weather conditions or docking changes. Information about your trip, what to pack, pre-trip transportation and lodging in Amsterdam and Koblenz, traveling abroad, tips on airfare, and other important pre-trip details will be provided in your WELCOME LETTER sent to you when we receive your registration for the trip.